LeWitt, Sol. Sol Lewitt. 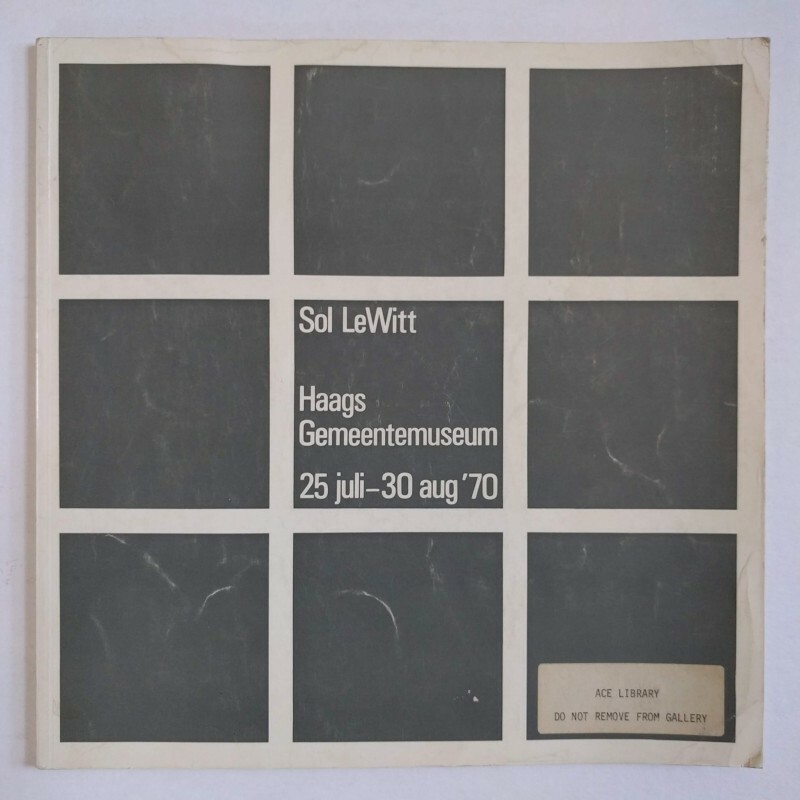 Catalogue of an exhibition held at the Haags Gemeentemuseum 25 July – 30 August, 1970. The Hague: Haags Gemeentemuseum, 1970. Oblong 4to, 64 pp. ; b/w illus. throughout; in orig. wraps, rubbed and worn at extremities, bumped corners sl. affecting interior leaves; ex-library with ownership sticker on front cover.